Surely many of you have planned a getaway to enjoy the Day of All Saints. The prelude to the Christmas celebrations brings together a number of traditions among which the Anglo-Saxon influence is obvious. Despite the latter, the roots of the current Halloween celebrations are outside American borders and, even now, there are many areas of the northern Spain that still retain their own customs to celebrate the most spiritual day of the year. 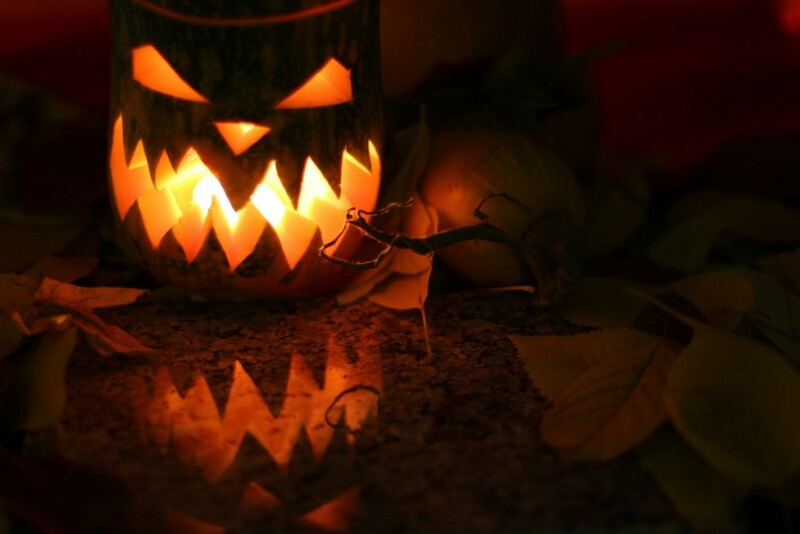 Halloween, celebrated every October 31, has its origin in the Celtic peoples who used to begin the year on 1 November and organized pagan festivities in honor of the end of the harvest, known as Samhain, a Gaelic word which means ‘end of summer’. That day from which the hours of sunlight begin to diminish, began to be fitted with a special mysticism at the time the Celts bagan to link it to the time when the spirits of the dead returned the world of the living. So, to ward off evil spirits, the Indo-European peoples lit bonfires and stood around them dressed in skins of animals they had previously sacrificed. In order to help good souls to find their way into the light they placed food and lit candles at the doors of their homes. With the subsequent Romanization and the preeminence of Christianity around the eighth century, the name of the feast was changed to All Saints Day –in English All Hallow’s Eve, which resulted in Halloween– and the celebrations which until then had been limited to the spiritual realm incorporated symbolic representations that would be forever linked to this event in the social imaginary. Among those symbols is the famous pumpkin turned into lantern that comes from an Irish legend that was exported, like the rest of the celebrations surrounding the Day of All Saints, to America by immigrants who arrive there between the XVIII and XIX centuries. The name of this festival comes from amogostar, a verb that means “roast chestnuts’ in Bable. 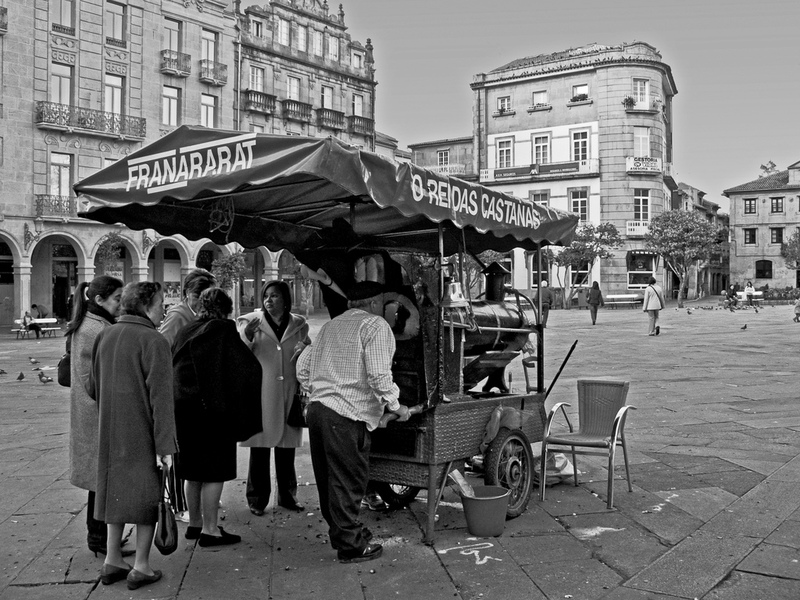 And it is just that, enjoy the proper fruits of autumn, what the Asturian people do from day 1 until mid-November. The celebrations are completed with popular games and gastronomic events that fill the streets of the Principality, and with the consumption of sweet cider, one of the most popular products in Asturias during this time of year. The date of Samain is marked in the calendar of the most important festivals of Galicia. With Rural origins, the Galician Halloween was first held in our country with the aim of honoring the harvest throughout the year, an aspect that remains the Celtic influence. But if at any point in Galicia this celebrations has a special relevance is in the city of Ourense, whose patron St. Martin of Tours is honored on 11 November with a celebration that became, in 2008, of Tourist Interest in Galicia. 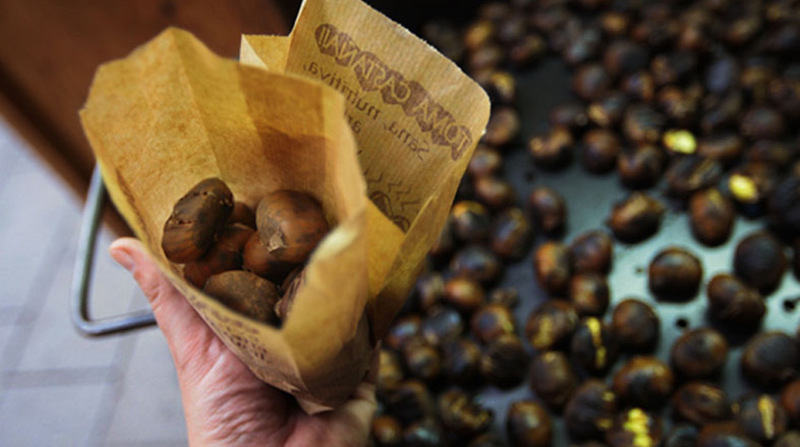 As is the case in Galicia and Asturias, Cantabria Feast of the Magosta’s main elements are chestnuts and fire but it has two peculiarities and these are that apart to to the purely gastronomic celebration there are festivals enlivened with hill-songs from Cantabria and in the town of Coo, chestnuts are accompanied with Carboneras, a typical sweet from this area. 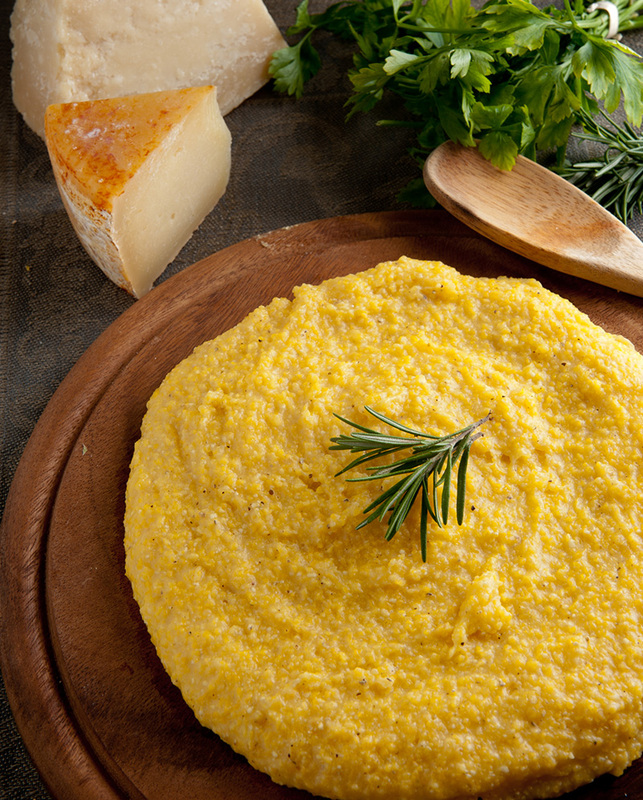 The main difference between the Gaztainerre and the rest of the autumn celebrations resides in the food that accompanies the traditional chestnuts: snails and morokil –which is a kind of thick cream made from corn flour boiled with water and salt– . 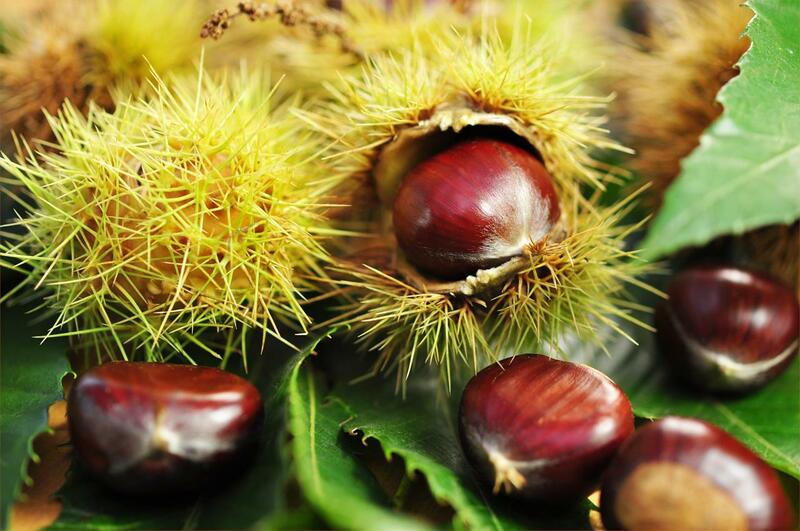 In the Basque origins of this celebration, a sort of warehouses were built outdoors near the chestnut trees to save the hedgehogs and to pick them up when necessary. Nowadays, thei can still be found in areas such as the Natural Park of Urquiola or Gorbea.